Do you have a vision for the home of your dreams? You can picture it, can’t you: the inside, the outside, the yard? Well the time has come to make that vision a reality. Working with premier building contractors in Greensboro, NC, you can design and build your dream home just the way you want it. To make sure you are completely satisfied with the final product, you need to know the 4 secrets to building your new dream home. List your “must haves.” Make a prioritized list of features or details that you absolutely have to have in your dream home. Whether it’s a wrap-around front porch, a finished basement, a 3 car garage, or a state-of-the-art kitchen, these are the things you cannot do without. It’s the big and little things that fulfill your dreams when it comes to your home, so add to the list as you go to make sure you don’t leave anything out. Plan for the future. When designing your dream home, plan for the future as much as the present, because if there’s any certainty in life, it’s that change is inevitable. You might plan 4 bedrooms because you have 3 children now and don’t plan to have any more. But things change, people age, grandparents move in, surprises happen. You can never be sure of the future, so build in some room for flexibility. Be willing to compromise. This does not mean giving up on the dream home you want, but it does mean there will be situations during the design process where compromise will be necessary. Know your budget well, otherwise you run the risk of building yourself into financial hardship. Some of your less important items may have to be sacrificed in order to have some of the more important features. Trust your builder. 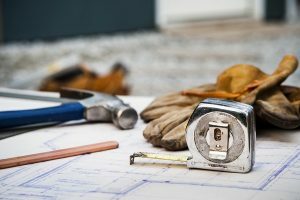 When you work with an experienced, reliable building contractor in Greensboro, NC, you should trust their advice. Your builder will make recommendations along the way that can save you money and improve design choices. Choices like which materials to use and what brand names are best are wisely left up to your builder who has worked with the products and built many homes. If your builder thinks something may not be a good idea, take the advice. He will likely offer you a workaround that will be much more pleasing in the end. Put your dreams in the hands of someone you can trust. R&K Custom Homes are the building contractors in Greensboro, NC, that are behind award-winning homes in the finest neighborhoods. State-of-the-art building technology, stylish design features, and quality materials and craftsmanship go into every R&K home. The dream house you have always wanted for the future can be yours sooner than you thought possible. The time is now. Call (336) 643-3503 to get started on your dream home design.